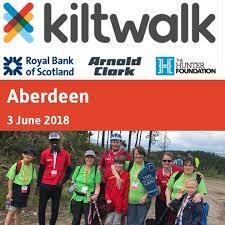 SCALP are very thankful to the 'Kilted Heroes' from Aberdeen, who recently took part in the Aberdeen Kilt Walk. They raised a total of £645.40 for SCALP - well done guys - much appreciated! !